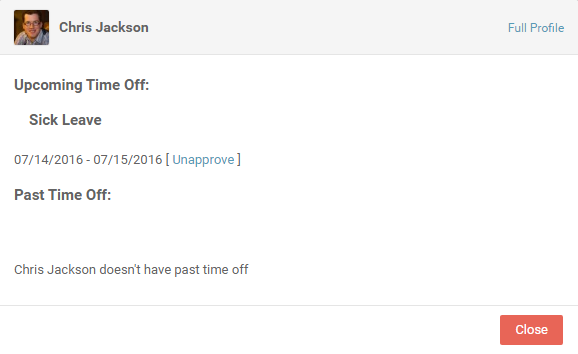 From the left filters panel, select the Vacation Schedule to see who in your company is on vacation. The number in parenthesis next to employee names in the calendar cell indicates how many days that vacation continues for. Managers can click on a vacation and 'Unapprove' any upcoming time off or Remove any past time off. The Employee/Week view, when Schedule Overview filter is turned on, will also show who is on vacation. For creating the leave requests please click here.